Selling on eBay can be a hobby or a full-blown business. If you rely on eBay for income, it can be a devastating blow to have your account suspended. It is why it is very important to educate yourself and understand all of eBay's policies so you won't be suspended in the first place. But, in the event your eBay account is placed on hold, restricted, or suspended, there are specific steps you can take to try to have it reinstated. Notice the keyword here is try because there is no guarantee that eBay will reinstate an account. Not all suspensions from eBay are the same. Minor issues, such as expired methods of payment or late payments, are likely to result in your account being placed on hold, and your account can be reinstated as soon as you update your payment method or settle your unpaid bill. Restrictions are more severe than Holds and might be put in place if, for example, you don't meet minimum performance standards as a seller. 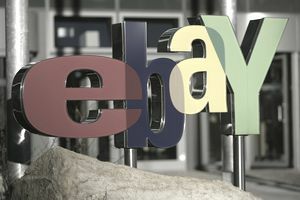 For something like that, eBay might restrict you from selling certain items or lower your placement in search results. The only way to lift such a restriction is to meet eBay's standards. Suspensions usually occur only in the most egregious cases. For example, selling illegal merchandise or engaging in hate speech is likely to get a seller suspended indefinitely. The first step in attempting to be reinstated on eBay is to identify the problem. If you are new, ignorance is your best defense. You may not have known that using stock photos is not permitted, or that you aren't allowed to use the word Velcro in your title. Sometimes you don't know if an item isn't allowed since it is very difficult to know every single rule on eBay, especially if you are new. You may not know an item you have for sale has been recalled, or you may not know you can't use stock photos, like pictures of clothing from retail websites. Fixing the problem may be as simple as removing listings that were recalled in a massive recall of items from a specific company. If it is an easy fix, eBay will explain exactly what you need to do to have your account reinstated. Remain Calm: eBay CSRs are just regular people like you doing their job and have nothing against you personally. You should act as an investigator here, gathering the facts. Act in a calm, professional, and rational manner. The objective here is to get to someone who can and will help you. Ask for a Supervisor If Needed: The CSR who answers your call may not know how to help you. If you haven't received an answer or acceptable assistance after 10 minutes of speaking to someone, politely ask for a supervisor. Someone more experienced may be needed to help you. The best way to handle an eBay suspension is not to get one. Whether you are new to eBay or a seasoned seller, it is beneficial to read the eBay policies to educate yourself on the rules. eBay is an ever-changing universe, and rules change from time to time so new policies can sneak up on you. Always read email updates from eBay, and check your eBay messages frequently for updates and announcements.